In the early 1970’s I published a small poetry magazine called the end (& variations thereof). I was one among many individuals and coteries of poets doing the same thing: producing limited edition poetry magazines and books using any means necessary. These necessary means were often mimeograph machines, the DIY desktop publishing of its day (desktop in the sense that the machine was portable enough to fit on top of a desk or table). Those days are gone, thankfully or not, but the artifacts remain. One of the unique aspects of the mimeo revolution of the 60’s and 70’s was the network of poets and editors that came into being through the distribution and exchange of magazines and books. For many, distribution was mostly through the mail to a select list of subscribers and reciprocal trades with editors of similar transient productions. This informal network was known to some as “American samizdat.” As a result, I have accumulated quite a few archive boxes of poetry publications. Not all are mimeograph, many professionally bound and offset printed, but the bulk consists of borderline letter size side-stapled representatives of an vital unaffiliated North American underground poetry. I get the urge every so often to put some order in the chaotic hoard of these side-stapled sheaves. By now the cheap materials used in many of the earlier productions are beginning to show the tell-tale pox of paper’s version of rust, foxing. Yet I am hesitant to get rid of them no matter how obscure and ephemeral they are. Among the few rarities I can boast are a limited edition copy of Frank O’Hara and Bill Berkson’s mimeographed Hymn To St. Bridget, Joe Brainard comic book collaborations with a number of New York poets, early Notley, late Schuyler poetry collections, with covers by Guston and Grooms, The World from the Poetry Project in its signature New York School “more poems to the page” legal size. I recall a conversation with the poet Joanne Kyger years ago as we surveyed her collection of archived little magazine. “Do you think that these little magazines will be worth a lot of money one of these days, too?” she asked. I had to admit to a similar fantasy. Sorting through the musty dusty pages of these paper bricks can trigger allergies as well as call up poignant memories. I resolved, in one of my fits of organization a few years ago that the rare editions I really treasured would have to be kept in clear plastic archival envelopes if they were going to be preserved. I also realized that it might be a little too late for some of the older cheaply produced editions. Still, it was not at all an unpleasant nostalgic meandering. There is a lot of history in those moldering pages, mine and that of my contemporaries. And surprises. One such surprise was the discovery of a mimeographed selection of poems in French by Robert Hébert. My French is adequate enough, considering that it was my primary language up until the age of ten. Unfortunately a lapse of some sixty years, while keeping the deep structure wiring intact, has resulted in gaps in vocabulary, particularly of contemporary usage. Over the years I’ve translated the poems of a number of French poets, primarily for my own benefit and as a way of staying in touch with the language of my origins. I guess that qualifies me as bilingual although my formal schooling leaves much to be desired. Yet I seem to have retained an ear for capturing nuances in the original French and rendering them into American English, the language that I now speak exclusively. As I stood there diverted from my archiving task, I translated a few of the Hébert’s minimalist offerings in my head. Hey, not bad, I concluded, I can totally do these. Famous last words. 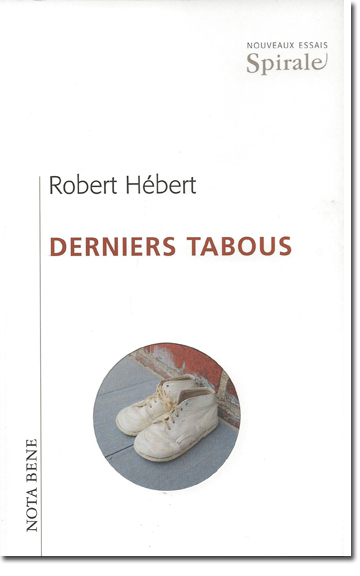 I had never before heard of Robert Hébert, and I don’t remembered how I came to acquire the selection of minimalist poems entitled Histoires Naturelles. I assume that it was through the active exchange of magazines decades ago. I have to also admit that I don’t recall having ever seen this particular selection of poems in my previous failed attempts at sorting and classification. Curiouser and curiouser. The publication date was listed as 1971 and from a small press calling itself Blue Pig. 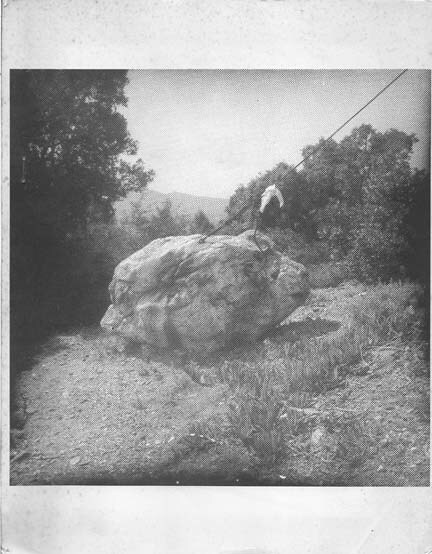 The cover consisted of a grainy half toned photo of a large boulder in a sylvan setting with a cable attached to it and whose contours and protuberances bestowed upon one end of the large stone the physiognomy of an animal, sheep or pig. The artist was listed as Jean Le Gac. My curiosity was piqued. Who was this poet? Who were the publishers? In a previous era questions of this sort might have been merely idle conjecture, impossible to answer without a lot of interpersonal legwork consuming months if not years of correspondence. And who has the obsessive energy to chase such capricious questions down the rabbit hole? Never one to dodge the lure of a distraction, I availed myself of the resource of infinite distraction, the internet. In the space of an afternoon I had the names of the culprit poets behind Blue Pig magazine, David Ball and George Tysh, and a line on Robert Hébert. If one searches “Robert Hébert” any number of entries, from real estate agents to photographers, will appear, none particularly French by anything but ancestry. On a hunch I searched the name with a location. France didn’t turn up anything useful. Then I tried the city of my birth, Montreal. Bingo! A wiki entry gave me my first real lead for a Robert Hébert, French Canadian philosopher and writer. The terse one line biographical entry, considering the minimalism of the poetry, was a tantalizing clue. “After his studies, he taught at the Collège de Maisonneuve [Montreal, QC]. He is the author of several books.” No picture of author available. Not that it mattered. 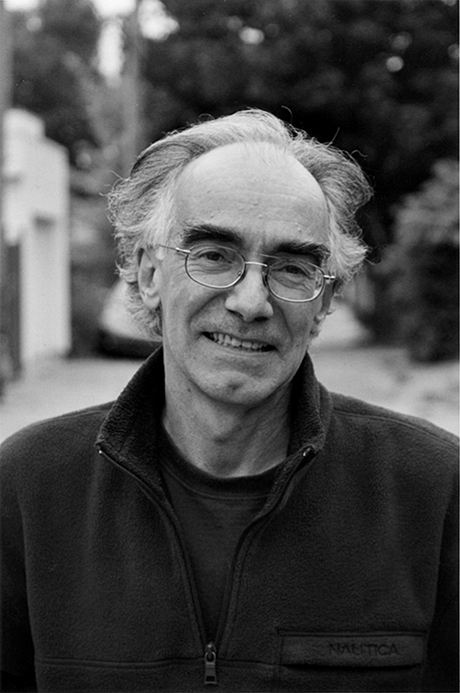 In terms of publication Hébert’s curriculum vita was quite impressive: nine books since 1978, a recent one published in 2015, all on what appeared to be the subject of philosophy or cultural history. Also listed was a raft of essays in a variety of magazines of a philosophical bent. 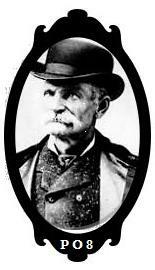 The publisher’s site of one of Hébert’s books provided a photo of the author. In the meantime, a query to George Tysh as to whether Hébert was French Canadian came back with “I’m inclined to believe that Robert might be in Montreal, since I seem to remember him having that connection (and I remember his wife’s Quebecois accent).” It was beginning to look like I was on the right track. I also had, as they say in espionage novels, a source on the ground. I first met Lucille Friesen, poet, letterpress printer and artist, when our orbits crossed in the gravitational field of a local literary and art scene in Sebastopol in Northern California. I knew her to be an ex-pat American world traveler who made annual treks to Patagonia and had previously lived most of her adult life in Montreal. As a PhD candidate at McGill University she made a study of Charles Olson’s poetry. Perhaps most impressive was her history as the former owner and co-founder, with her ex-husband, Adrian King-Edwards, of The Word, a used book store in Montreal housed in a former Chinese laundry. The bookstore to this day remains a thriving enterprise under the management of her son, Brendan King-Edwards. Much like Moe’s in Berkeley, The Word is a local institution and literary hotspot on the fringe of the McGill University campus. As Luci and I were both fans of the Latin American author Roberto Bolaño we always had something to talk about over the occasional cup of coffee. She was also passing familiar with the French Canadian poetry scene in the Provence of Quebec and had piqued my curiosity about the poetry being written by native French speakers (essentially writers who shared my roots) by providing me with a couple of books of Quebecois poetry, one of them an anthology. That had led to talk about perhaps finding someone to translate my own poems into the language of my naissance–a quest that is still ongoing, incidentally. Luci had been back in Montreal for a couple of years by the time I came across the Hébert poems in my musty archives. We’d kept in touch by email and I queried her about this author. She replied that the name was not familiar to her, but she would ask around. To perhaps jog her memory I sent her the picture of Hébert I had found at the publisher’s website. Luci replied almost immediately: she remembered the man in the picture as a regular customer of The Word! With that promising lead, Luci offered to find out if Hébert still came around. Soon I learned that he had been in the bookstore just recently. Later I would discover from reading more of Hébert’s recent writing that Adrian, Luci’s ex, and he were long time friends. Brendan, the bookstore manager, kindly provided me with Hébert’s phone number. All I had to do was call to confirm that I was on the right track. That proved to be harder than it might seem. I had to ask myself, first of all, now what? The ease with which I had found Hébert was something of a surprise. I figured that I’d be chasing this chimera for months so to come up with a potential resolution this quickly gave me pause. Also it felt like an invasion of privacy. It would be easy enough to cold call Robert Hébert. But just how rusty was my spoken French? I knew from experience that not all French Canadians speak or understand English, nor do they feel that they have to. I practiced phrases in my heads, studying my Larousse for those words that had fled from me and gone into hibernation. I resolved to do a little more digging to confirm that the Hébert I had tracked down was the Hébert whose selection of poems I had found. I had also got it in my head that translating these dozen or so poems would be an interesting diversion from my already full schedule: online serial novel, poetry blog, publishing venture, not to mention my principle task, writing poetry. Looking over the list of Hébert’s published books I was able to pick out a more substantial selection of poems published in the early eighties entitled Rudiments d’us. The titled alone should have warned me of the steep linguistic gradient I would soon encounter. As the book’s publisher was located near Montreal I wrote to Brendan asking if the bookstore carried a used copy. In less than a week he replied that he could procure a copy from M. Hébert himself. Now the cat was out of the bag and Hébert was at least alerted that some American writer was asking after his work. I considered placing a call, having worked out what to say when the receiver on the other end picked up. Again I hesitated. The rehearsal of what I planned to say had not gone well. Since an email address was not yet forthcoming, I was able to track down a street address using a reverse directory. Now I only had to compose a letter in French, something I felt a little more comfortable doing. Introducing myself, my background, and explaining the reason for my approaching him would be easy enough. To do so in French was the challenge. My bilingualism is like a rusty bike that I too seldom take out for a spin, often requiring first pumping up a flat tire, sweeping cobwebs out from between the spokes, and greasing the chain. Then the physical memory of balance and center of gravity come into play navigating down the prescribed path, wobbly in the beginning. Wobbly would be a good description of my letter to Robert Hébert. I introduced myself, apologizing for my rusty French, and gave him a brief rundown of how I had discovered his early work. I explained that I was drawn to his poetry because it was quite familiar to me. As my letter declared: “You must realize how familiar your poems are to me. In the same time frame, the early seventies, you and I were seduced by the minimalist trend in poetry. For me, among the Americans and Brits, I was aware of poets Clark Coolidge, Bruce Andrews, Tom Raworth, and Aram Saroyan who were also exploring the resonances of the succinct. That trend evolved into an academic centered coterie who became known, somewhat dismissively, as the” language school.” It was enough for me to “dip my toe” in the language poetry pool to understand that my direction was in more extended improvisations even though I still retain an appreciation of the inherent appeal of minimalist distillations.” The fact that Hébert was French Canadian added a significance I felt to my Quebecois roots. He and I belong to the generation of war babies who grew up in a French speaking culture dominated by a pervasive Anglo hegemony. The first thing about translating everyone acknowledges is that it is impossible. Then why do we do it? It is in our perceptual nature to seek equivalences to maintain our equilibrium. Language itself is abstract definition of the circumstance of existence. The more abstract the language the more abstract the definition, abstract being the distance from the act or actual. The minimalist poem acts as quale, that particle of sentience. Translation then becomes like particle physics to the degree of possibility that a word can mean oscillating at a subtle frequency and how it can cross into a radically different cultural system (since language is culture) and still retain much of the original vibration. Related systems of cultural and linguistic origins, the daughter languages so to speak, will retain similarities, points of transparency, that often pass over in the other system as a corresponding node with little or no change in its semantic vector. The fact of my bilingualism I now understand plays an important role in my approach, and perhaps that is the subtext of all this. In translating the poems of Histoires Naturelles I was reacquainted with the concise esthetic of the practically indigestible word construct. Minimalism, like concrete poetry, is a poetry whose context is the page, a hybrid bound by edges and utilizing the blank space in juxtaposition with the text. It is a poetry that is compellingly visual in its presentation– its reason for existence is the page. [Note: unlike the way they are presented in this article each poem in Histoires Naturelles occupied its own page, a full 8½ by 11 space.] While there are resonant ambiguities that may strike an allusive chord, the page itself acts as an echo chamber to contain any incipient reverberations. And like concrete poetry, it is almost entirely visual, depending on the immediacy of the coup d’oeil. Some minimalist poems resemble tiny word sculptures or mobiles a la Calder, and others with a syntax that approximates the mind bending illusions of Escher. The minimalist poem plies the deceptive waters of ambiguity with its rafts of playful, punning fragments. In the 70’s minimalist poetry, a tangle of open ended relationships and linguistic cul de sacs, was an eschewal of the more verbose metaphysical tendencies of conventional poetry, not that it would ever be free of metaphysics, the mitochondria of language—it was still there but condensed, subtle, subliminal. Words or phrases in translation generally arrive with a cushion of context. Minimalist poems have little or no such safety net. They are spare linguistic landmarks in the rectangular park of the receptive page. The surrounding blank space draws attention to word clusters that appear numinous before they give way to potential meaning. Dilemmas proliferate. Is it transliteration versus approximation? What is the idiomatic weight of a phrase in translation? Minimalists sample the continuum by isolating “isotropes” of language by their half life. How quickly does significance decay? How deep is its reach? What gets lost as poetry is often the impossibility of an equivalence of the idiomatic. Unless there is a constant engagement with the colloquial where the idiomatic resides, the meaning of a particular phrase or word usage will be out of reach to the translator. An academically learned language will enforce the grammatical rules and proper usages. Learned by rote as a first, second or dual language during childhood imparts the rules reflexively to the ear rather than to the intellect. For some time I’ve held a suspicion that my sometimes odd syntax and sentence construction or way of putting things in English had to do with the fact that French was my first language and that the “wiring” for French (Quebecois) was still intact and at times overriding the English. Perhaps this was the “code-switching mechanism” gone awry or possibly this is common among bilinguals and polyglots where deep structures conflict and the ear prevails over the standard. Having no formal schooling in French I found that I could read phonetically without much difficulty, vocabulary being the biggest hurdle. Armed with a Larousse I set about to read and translate the poets that interested me. The translations I attempt are done as a test or challenge, primarily of my grasp of the French text, and its potential as a poem in demotic American. Among those that I’ve tried my hand (ear) at were the innovators of early 20th Century French poetry, Max Jacob, Pierre Reverdy, Blaise Cendrars, Philippe Soupault (Apollinaire was adequately covered by the pros), even the formalist Jean Follain. And I have been fortunate to have a number of my translations published in anthologies and literary magazines. My method is to start with a quick transliteration sketch keeping the rhythm of sense established by the ear with certain words left in the original as place holders for further consideration and lexical parsing. Next I review them in isolation as works in English to get a sense of them in the target language. I then make comparisons between the original text looking for points of transition that will be faithful to the French as well as carry weight in English. With Hébert’s poems, I have a familiarity with the minimalist style, early on appreciating its relevance to contemporary culture as proto-meme generation clearing the way for twitterture (sic). Additionally there is always the question of what does the poet (poem) mean or what is the poet’s (its) intent. The poem is spun as its own entity yet connected by invisible (magnetic) strands to the poet and the meaning of that poet within the “meaning-verse.” Is the poem ever separate from the poet? And there is the minimalist consideration of the poem as meaning itself rather than a description of meaning artfully composed. Sometimes the simplest proposals require incredible contortions to arrive at an equivalent meaning. My lucky find of Histoires Naturelles and decision to translate the text turned out to be a particularly thorny challenge. It’s taken me down a lexical garden path that made me wonder if French was merely a language that I imagined I knew. I must confess that those word nuggets made me doubt that I could actually make sense of the language of my birth. Here then context for the poems in Histoires Naturelles was provided to me by the recovery of the work and the path it opened to conjecture and criticism in the acquisition of additional knowledge, of myself and of a unique North American culture. Admittedly this delving into my early beginnings looking for a connection has all the marks of nostalgia tourism. However it did allow me to view a history of my ancestry whose roots were in Champlain’s early settlements in New France, sustained by their somewhat stoic Jansenist proclivities under Anglo repression and in proximity to the terrible fate of the Acadians. The brutish British deracination of the Acadians, an integrated French and native community as the promise of a new world in the brotherhood of man, and subsequent suppression of the French speaking inhabitants is an insult to this post indigenous culture that remains to be addressed and redressed. Being French Canadian has meant inhabiting the fringe of the dominant Anglo culture in a dual language environment. But writers and intellectuals, of which Hébert is merely the tip of the iceberg, flourish along the banks of the Saint Lawrence, from Montreal to Trois-Revière to Quebec City and the outer reaches of the Gaspé Peninsula. Here is evidence of a rigorous intellectualism and a unique cosmopolitanism with ties to the mother tongue as foreseen by Champlain, a proud realization of his inclusive utopianism. This entry was posted in Poetry, Poetry Society and tagged Acadian, Adrian King-Edwards, Alice Notley, American samizdat, Aram Saroyan, Bill Berkson, Black Bart, Blaise Cendrars, Blue Pig, Brendan King-Edwards, Bruce Andrews, California, California Poetry, Champlain, Clark Coolidge, Collège de Maisonneuve, David Ball, Derniers tabous, Eric Selland, Frank O'Hara, French Canadian, Gaspé Peninsula, George Tysh, Histoires Naturelles, James Schuyler, Jean Follain, Jean Le Gac, Joanne Kyger, Joe Brainard, Jules Renard, Keith Waldrop, Lucille Friesen, Max Jacob, McGill University, Modern Poetry, Montreal, New France, outlaw poets, Philippe Soupault, Pierre Reverdy, Poetry, Poetry Blogs, Poetry Lectures, Poetry Lessons, Poetry Society, Poetry Talks, Poets, Quebec City, Quebecois poetry, Robert Hébert, Roberto Bolaño, Rosemary Waldrop, Rudiments d’us, Schools of Poetry, The New Black Bart Poetry Society, The Poetry Project, The Word Bookstore, Tom Raworth, Trois-Revière. Bookmark the permalink.